"We all need to be heartened that the majority of America, majority of the world stands with fairness"
"If my husband is out here fighting for our country, if he risks his life for our country, why can't you remember his name?" That's the question Myesha Johnson asked U.S. President Donald Trump during a condolence call last week in the wake of her husband Sgt. La David Johnson's death in Niger. While Trump denies he forgot Sgt. 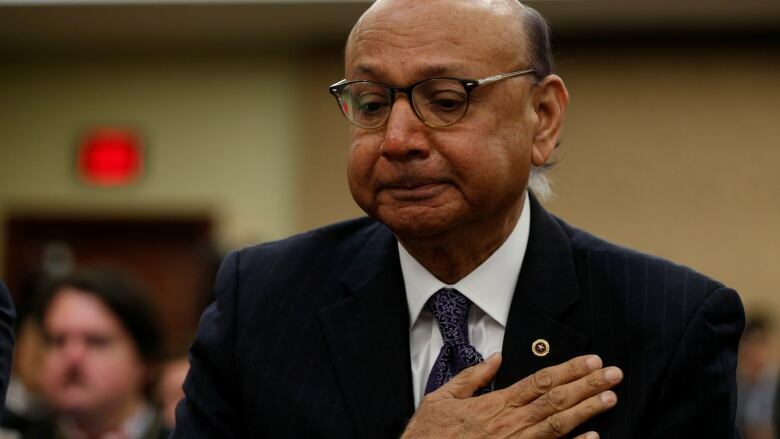 Johnson's name, Khizr Khan says the controversy is emblematic of the cavalier tone the president has set during his first year in office. "The call of the office where Donald Trump sits is to use measured words, to make sure that every word that is uttered is comforting," Khan tells The The Current's Anna Maria Tremonti. 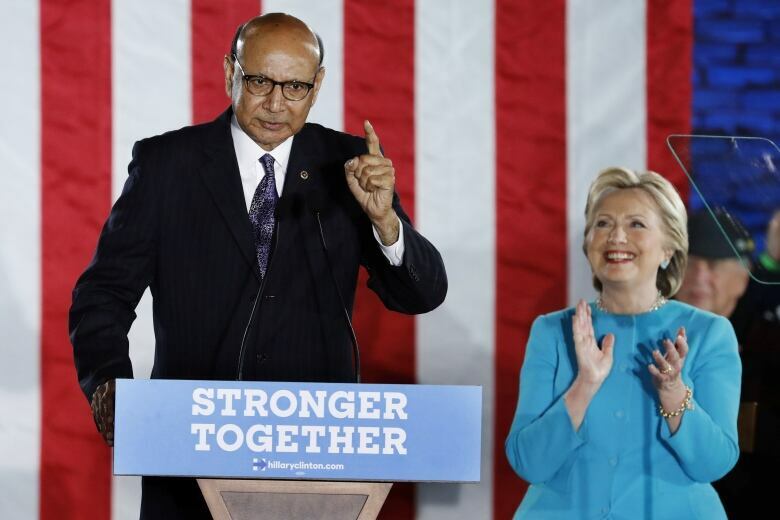 Khan rose to international prominence last year when he called out then-nominee Trump during the U.S. National Democratic Convention. "Donald Trump, you're asking Americans to trust you with their future. Let me ask you, have you even read the United States constitution?" the Pakistani-American asked rhetorically from the podium. Khan tells Tremonti, he and his wife Ghazala second-guessed their decision to participate at the Democratic Convention until the very last minute. "We were not wanting to go to that stage. 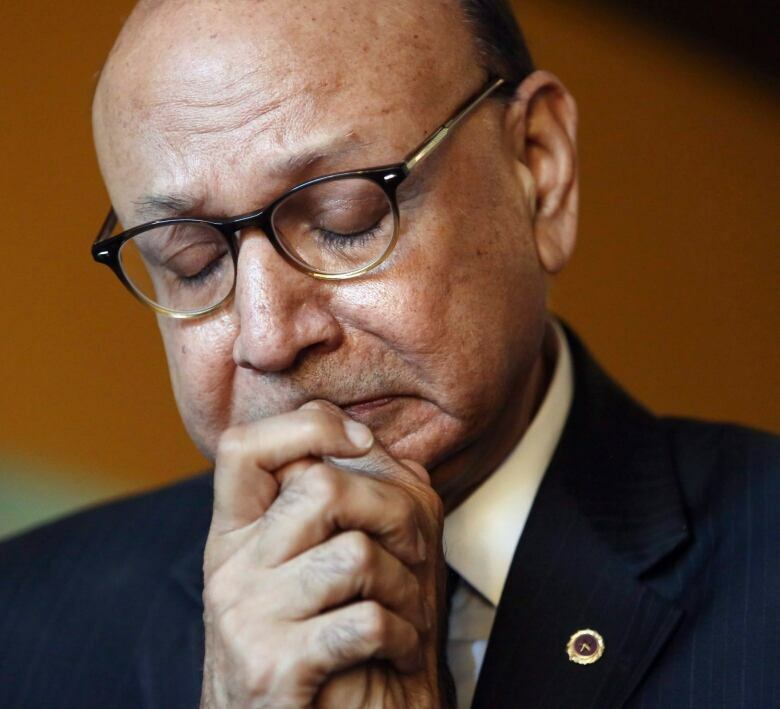 We were reluctant," Khan says. "We are humble, modest private people." But he says President Trump's true colours shone through in his response. "His [Donald Trump's] lack of empathy was on full display" when he said Ghazala was not being "allowed to speak" on stage at the DNC convention. "She [Ghazala] was in fact the one that edited my speech." 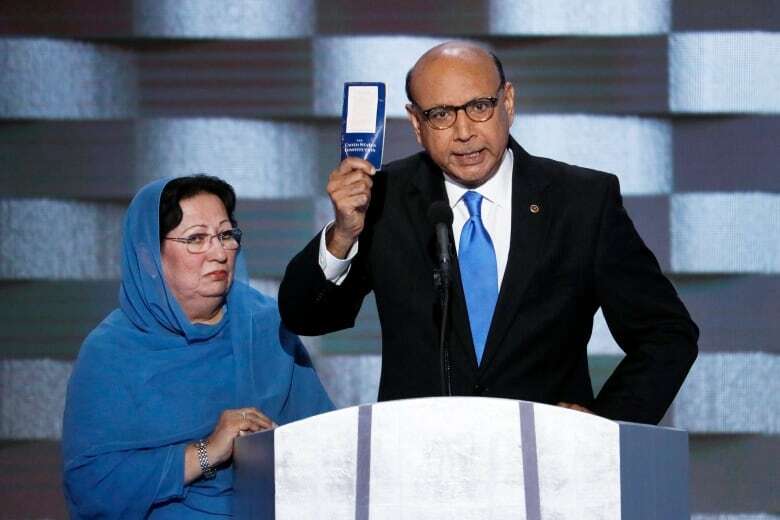 A decade earlier, Khan's son, Captain Humayun Khan, died in Iraq — one of the first Muslim American soldiers to be killed in that war. He was posthumously awarded a Bronze Star and a Purple Heart. In Khan's memoir, An American Family: A Memoir of Hope and Sacrifice, he details his remarkable journey from milking cows on his family's farm in rural Pakistan to becoming a Harvard-educated lawyer, and onto sharing Hillary Clinton's stage in front of the whole world. The Pakistani-American says the United States' generosity and kindness was evident to him from his earliest interactions with Americans — his boss in Dubai. "Everything that I never dreamed of having in my life: bedsheets, towels, refrigerator with food, tea, bread, everything —spoons, forks ... They left and I just broke in tears. What did I do to deserve all this kindness?" he asks Tremonti. But he says the U.S. must guard its democratic traditions and institutions — they can and are being damaged under Trump. "I have lived under two martial laws, so I know what it feels like to live under authoritarian regimes. Newspapers, media outlets were burned ... but look at the similarities of the current administration?" Khan says, pointing to Trump's attacks on the media as being a common practice he also saw while living in Pakistan as well. He adds that Canada is a good example for the U.S. on immigration. "Whenever they ask me about immigration laws in the United States, I say, 'Look to the north. Look to Canada, how it treats its immigrants.' Not that it is the perfect place ... but the name for an immigrant in Canada is 'new Canadian.' Those two words speak to the mentality of the nation," Khan says, adding that he still feels hope for his current home. "We all need to be heartened that the majority of America, majority of the world stands with fairness, stands with dignity, stands with human dignities enshrined in our constitution."